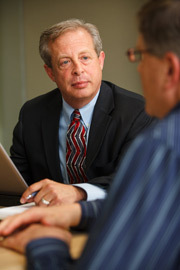 Located in downtown Oakland, Brian Ripley has over 30 years counseling and representing business owners in a broad variety of legal issues and matters, including corporate compliance and governance, buy-sell agreements, business policies and procedures, commercial leases, succession planning and “exit” strategies, and many more. Have Legal Questions about Your Business? Business owners who are provided with clear information regarding the full range of available options, coupled with an understanding of how the law impacts their company, supported by proactive, strategic counseling, have the best chance of long-term success and profitability. If you’re looking for an experienced, accessible business lawyer in Oakland, call Brian Ripley at (510) 596-1745.